Overestimation of Product Limit estimator function in the presence of ties may have severe implications particularly when using its estimates to inform health care planning and policy decisions making. In a recent paper by Job I. Mukangai and Prof Leo O. Odongo, an adjusted Product Limit estimator was developed to incorporate censored individuals when estimating survival probabilities in the presence of ties. 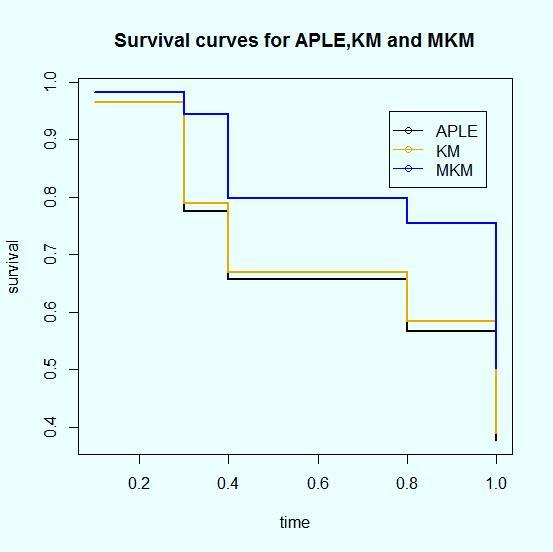 The paper clearly highlights the root cause of overestimation of the conventional Kaplan-Meier estimator function in estimating survival probabilities. “Development of such an estimator can greatly facilitate researchers dealing with censored data by incorporate censored individuals, in the presence of ties, that have the potential to influence survival probabilities”, Mukangai said. In the paper, they showed how censored individuals in the presence of ties can be incorporated in the estimation of survival probabilities using the probability of failing for uncensored individuals. In developing the estimator, they assumed that the rate of failing in the censored set of individuals is similar to that in uncensored set since the two sets were from the same sample, assumed to be random. The overall probability of failing was arrived at by summing the probability of an individual failing when not censored and failing when censored. They went on and suggested that “censored individuals should be incorporated when estimating survival probabilities in the presence of ties and the estimates obtained must be at most equal to estimates obtained when censored individuals are ignored. In their study it was shown that the performance of the developed estimator was quite satisfactory. Although Kaplan-Meier is one of the statistical tools commonly used by applied statisticians in analyzing censored data, it is not appropriate in case there are ties between censoring and event times. This is true because Kaplan-Meier method assumes that the censored individuals survive slightly longer than the failed individuals, an assumption that can’t hold all through, thus the method ignores them. In real life application and simulation, such as those performed in the paper, give researchers the tools and opportunity to observe the effect of incorporating censored individuals in estimating survival probabilities in the presence of ties. This will inevitably increase the accuracy of the survival estimates obtained from censored data, thus providing reliable recommendations.